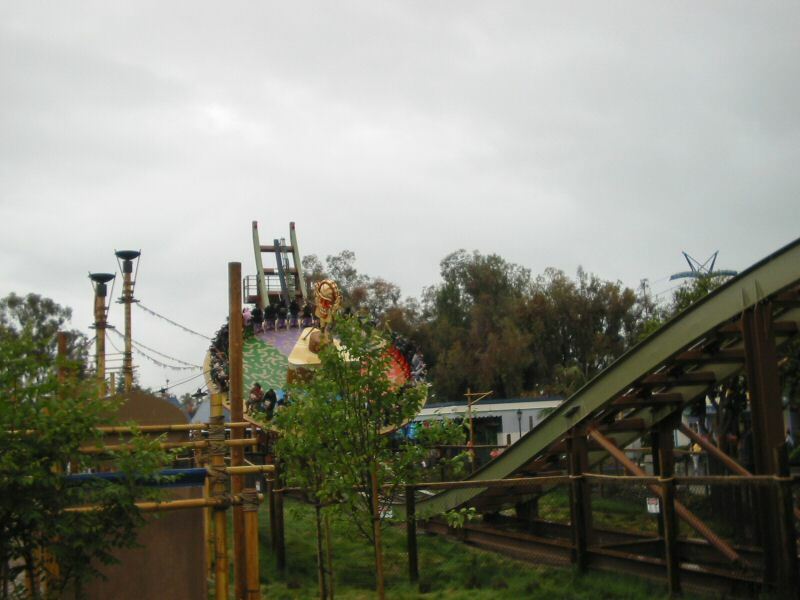 The Survivor ride. It looked pretty lame, but was pretty thrilling actually. Especially at the end of the ramp, you're approaching at pretty high speed and it just looks like the entire thing will fall over the edge, but stops like half a meter short of it.